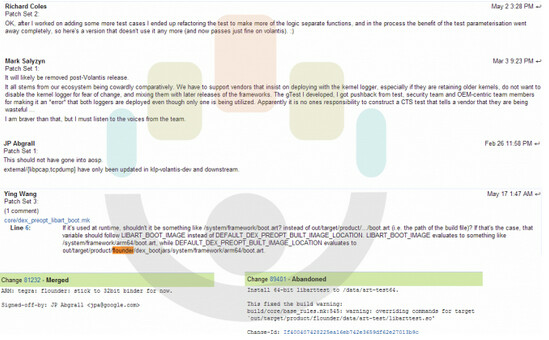 Just the other day, a "mystery" tablet on the Google I/O site was thought to be the Nexus 8 tablet. Unfortunately, it was an earlier image of the Nexus 10. This wasn't the first time that the mythical Nexus 8 slate was thought to have made an appearance in a Google ad. Last November, a strange looking tablet was used in a Google promo. We thought it might be the Nexus 8. 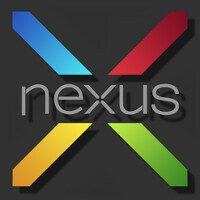 Whatever it was, Google felt threatened enough to change the image on the promo to the Nexus 7. But according to MYCE, there is a Nexus 8 coming, and it is going to be pretty soon when the new 8 inch slate is revealed. The computer community site noted that it had been the recipient of several posts related to a device test named "flounder" which fits in with Google's use of fish names as code names for Nexus devices. It also dovetails perfectly with the use of the word "flounder" recently found in Google code, that might have tipped us to an HTC produced Nexus 8. Google has removed all traces of the flounder name used in previous posts on the computer community site. More recent references are made about a Tegra processor to be used with the tablet. One post mentions that the device will be powered by a 64-bit CPU. The correct name is Tegra K1. They didn't want to name it Tegra 5 because it's not a linear upgrade, it was too big of an upgrade for it to get the plain name of Tegra 5. All the other OEMS are not in trouble. Qualcomm, mediatek rockchip, and more have 64bit CPUs coming out. Some like Qualcomm have the 410 which they have already been sending out samples. Full production will happen in the second half. The same holds true for mediatek. The Exynos 5422 is used in the Galaxy S5 and is 28nm. If it was at 2.7 GHz, the only thing that would keep it from melting would be it not having any power due to it draining your battery. Each CPU has it's own advantages. Krait 400/450 achieve insane frequencies while still having manageable heat and power consumption, but has less performance than A15 at the same clock speed. Cortex A15 has great performance for it's relatively low clock speed, but it's very inefficient and gets hot quickly, so ARM needed to bind it with Cortex A7 to offset the workload and keep it from draining your battery and burning your hand. The Note 3 Neo uses the Exynos 5260 with 2 A15 cores and 4 A7 cores, and it is 28nm. We don't know if it will have 5.0 so just wait till GOOGLE I/O. can it perform like laptop or high end pc . crap only for browsing u spend so much crap google . If this is a 64-bit tablet and will be available this year, it will not be using the Tegra K1. The K1 that is shipping this summer is based on A15's(which are 32-bit). The 64-bit K1(based on A57) will not be available till next year as it will use the 20nm process. (Qualcomm has confirmed it will not be shipping 20nm processors this year because of the lack of 20nm production). The only 64-bit processors being sold this year are Apple A's and Intel's Atoms. The rumor mill has come full circle as it began this year with the rumor Intel would power the new Nexus 8.
nvidia 64 bit tegra K1 is most likely based on TSMC 28nm HPM just like the 32 bit one. no official spec for the 64 bit one yet from nvidia. even on nvidia site they only mention specs for 32 bit TK1: http://www.nvidia.com/object/tegra-k1-processor.html but i believe 64 bit TK1 will use 28nm because nvidia did show working 64 bit TK1 running android (then they run CPU-Z program to prove the chip was indeed 64 bit) on january at CES. that's mean they already design 64bit TK1 using current 28nm process. Texas Instruments pulled their OMAP series out of the mobile market. You can still get omap processors. Beaglebone blacks can still be purchased. Nvidia pulled out of what they called the "mainstream mobile market". This likely includes most phones, most tablets. The Tegra K1 takes a fair amount of power, so it is basically a tablet chip. Performance is excellent and having the K1 available in a Nexus help developers gain experience with the Kepler GPU that is in the K1. Only question I am wondering about is whether it will be the two core K1 or the 4 core K1. The K1's software is open source, Nvidia finally learned from their past mistakes. if its the 64bit denver K1, this will be the most efficient chip developed yet. the denver architecture is vastly superior to ARM's vanilla architecture. EIther way this is terrific news for nvidia. unfortunately, I believe it will be the 32bit version, hopefully I am wrong. The real benefit from a A15 is hardware virtualization. So running multiple OS's would be fast on the A15. I love that one (in fact I read it before you posted it), but I'm really looking forward the one with GPU comparison. I am really curious if Tegra K1 can beat the AMD APUs. It would put AMD in a really bad postion then, a chip with an under 10W TDP beating their 25W TDP chips. And probably it's also cheaper.